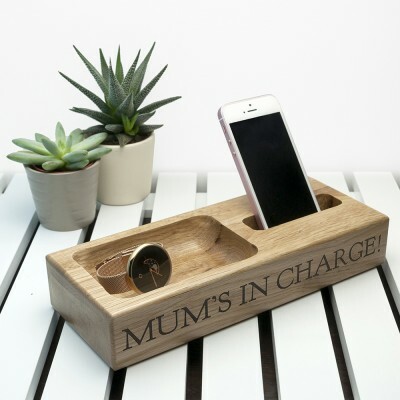 Made from solid Oak this multi functional phone holder and trinket tray is the perfect bedside accessory. Great for storing your watch and rings overnightas well as charging your phone. The holder is personalised with a line of text engraved across the front of the holder.